Hi guys, and happy Wednesday! We hope you’re having a good week! 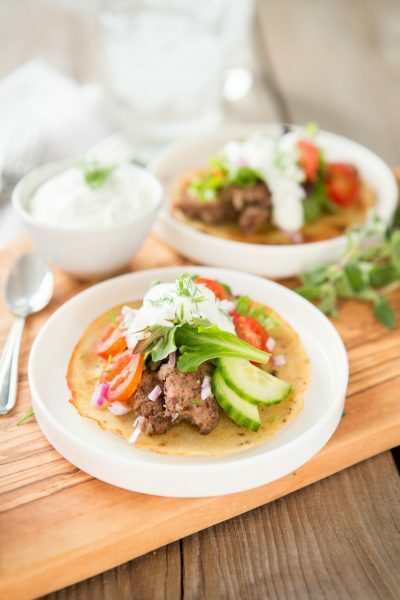 Things are off to a good start here, and we’ve just been taking a few days to breathe after our all-week takeover for Whole30 Recipes on Instagram. We also feel really inspired and recharged after the takeover too. It was great getting to know so many new faces, and interact with new people. 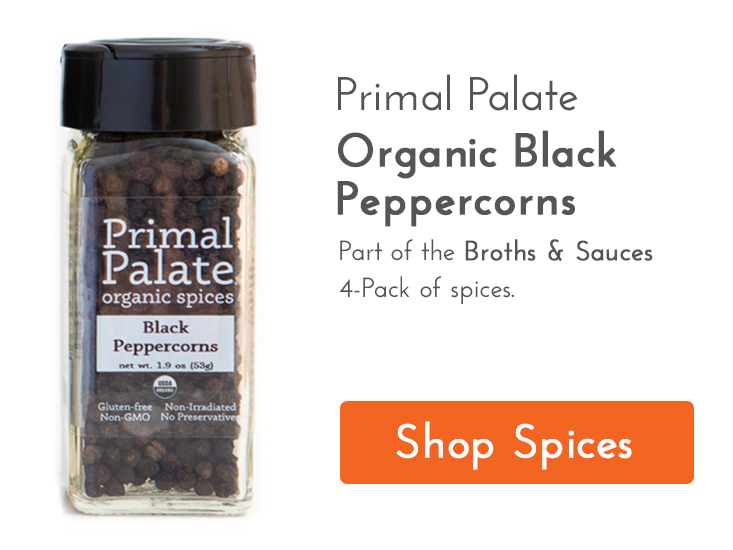 We have a lot of great ideas for how to make Primal Palate recipes even better moving forward. 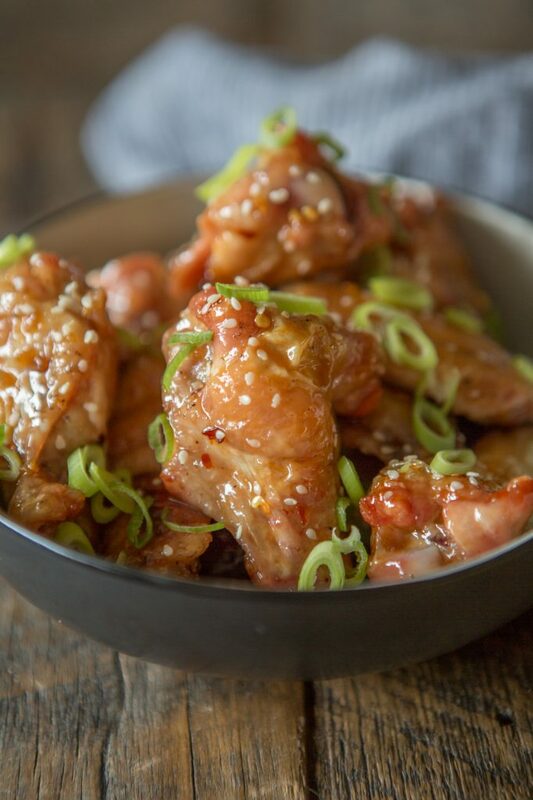 During our time hosting the feed, we had several requests to make Honey Garlic Wings. 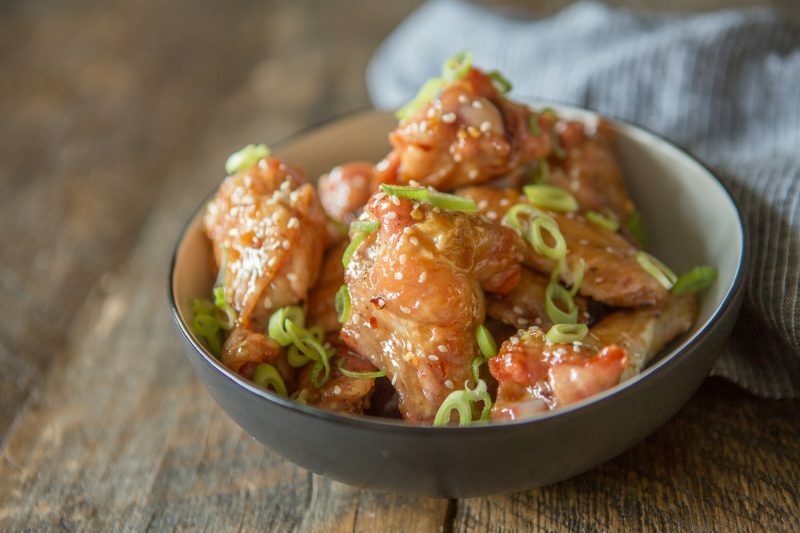 It’s not actually a flavor we typically make, but it wasn’t hard to figure out a great way to modify our current favorite wing recipe: Sweet & Sticky Wings. 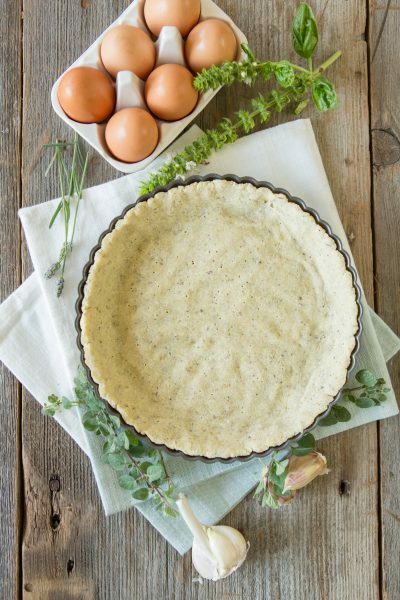 The two recipes share the same fundamental sweetness and stickiness. 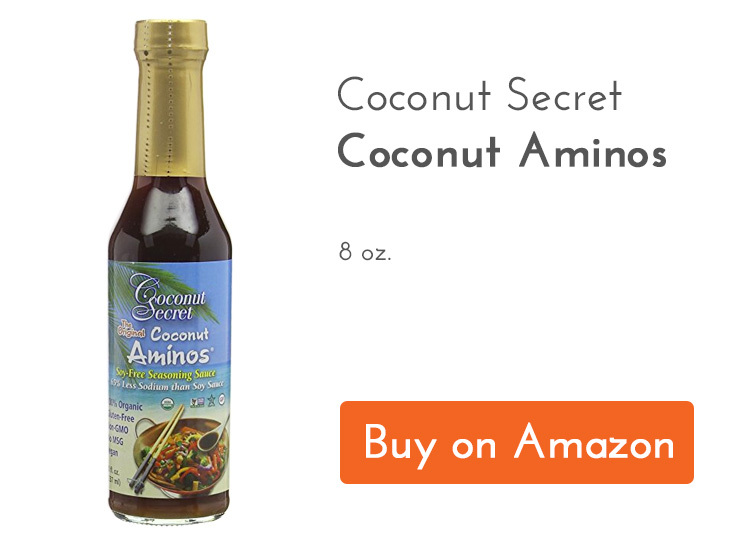 For our primary recipe, we just reduce coconut aminos until it’s just sweet. 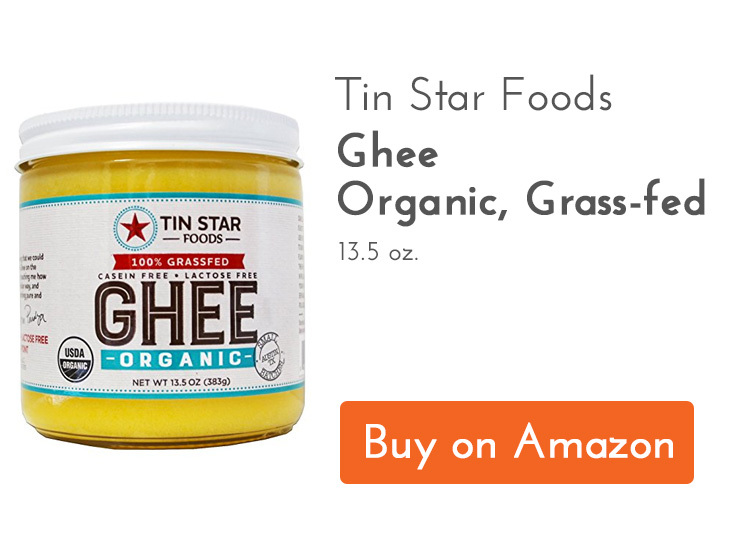 For the Honey Garlic Wings, we use a 1:1:1 ratio of ghee to honey to coconut aminos. 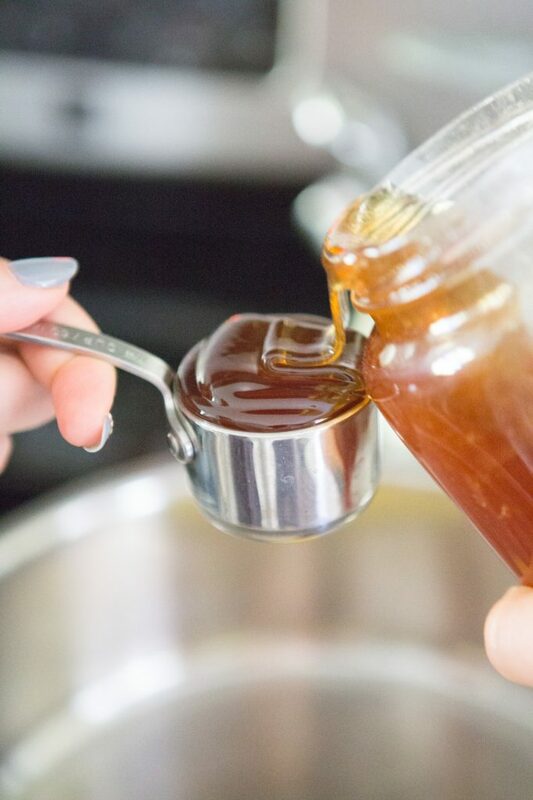 The result is a sauce that’s sweet, sticky, smooth, and flavorful. 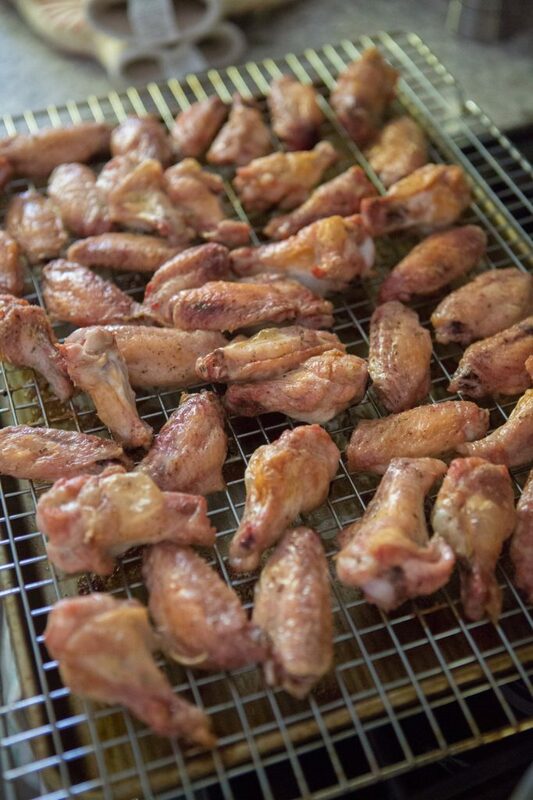 Start by baking the wings on a wire rack over a rimmed baking sheet. Sprinkle a little salt and pepper, and bake at 425 until crispy and golden… 40-45 minutes. 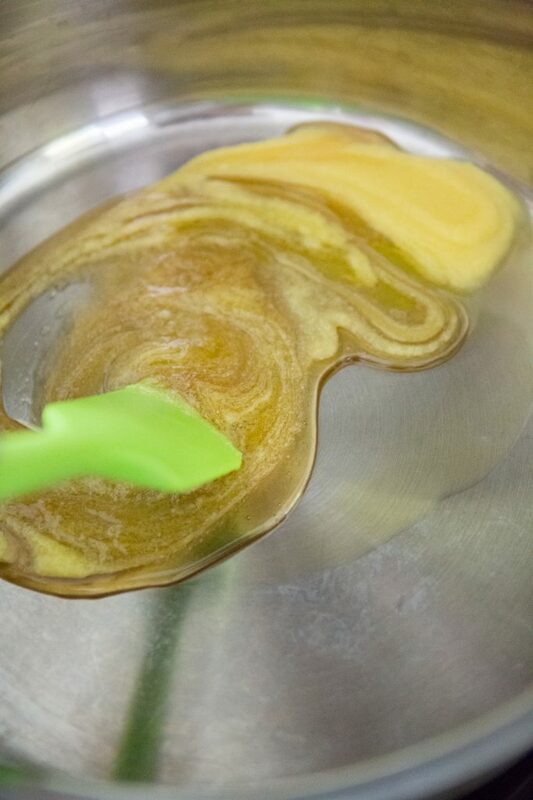 While the wings are baking, bring together the ghee and the honey in a deep rimmed sauce pan – the largest one you have. If you don’t have one that can accommodate all the wings, don’t worry. Add in the coconut aminos, spices, and garlic. 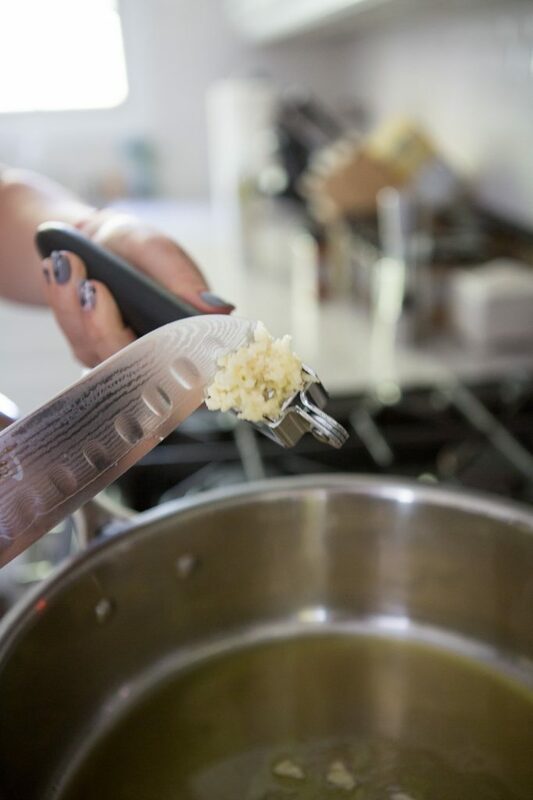 Stir together over medium heat until its bubbling. Reduce flame slightly, and continue stirring until reduces by half (approximately). It will thicken up. Reduce the flame to low and keep warm until the wings are done. 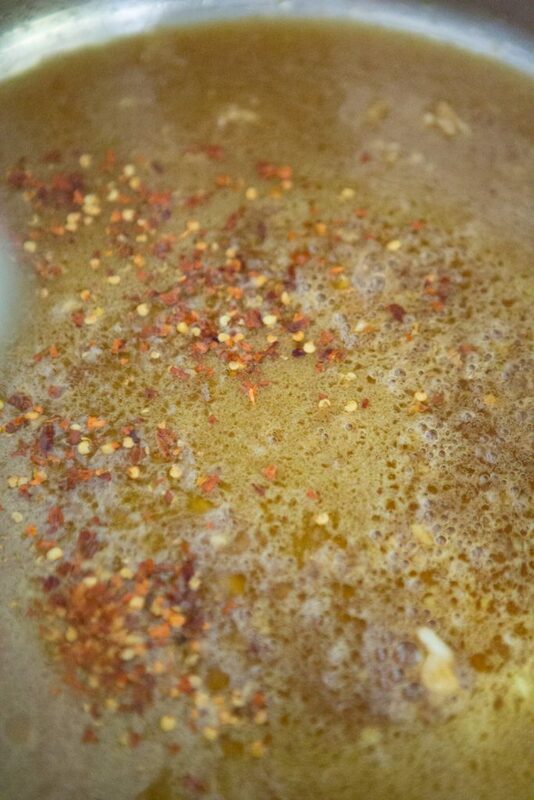 Once the wings are done, you can add them directly to the sauce and toss it (if the pan is big enough). Serve topped with sesame seeds and green onion. We hope you love this recipe! Feel free to send us your recipe requests. 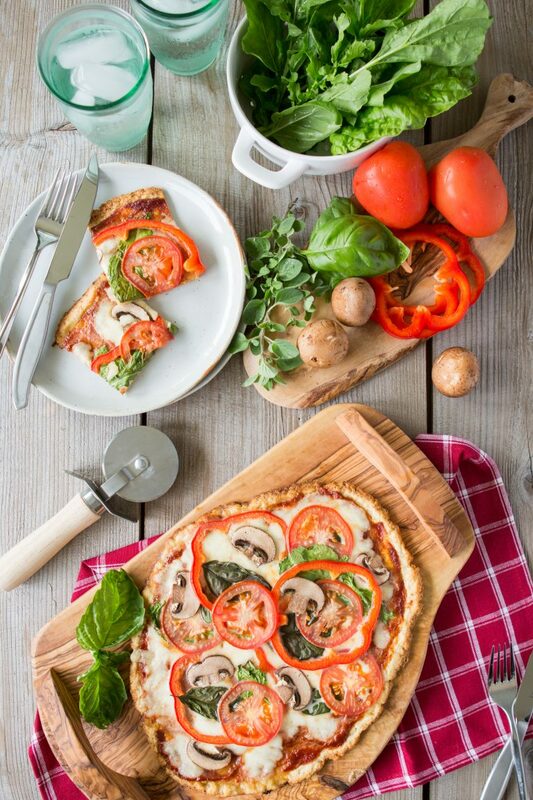 We’re always happy to develop recipes that you want to see! 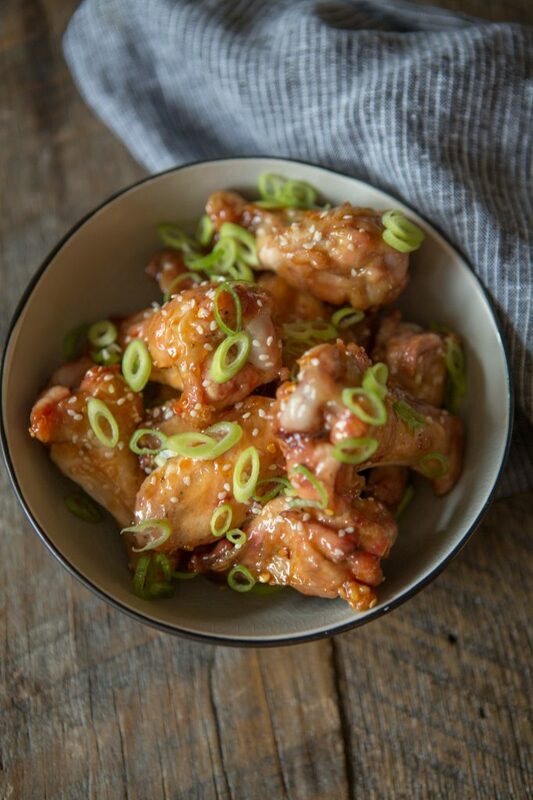 These wings have a great combination of sweet, a hint of saltiness, and some sticky, crunchy goodness. 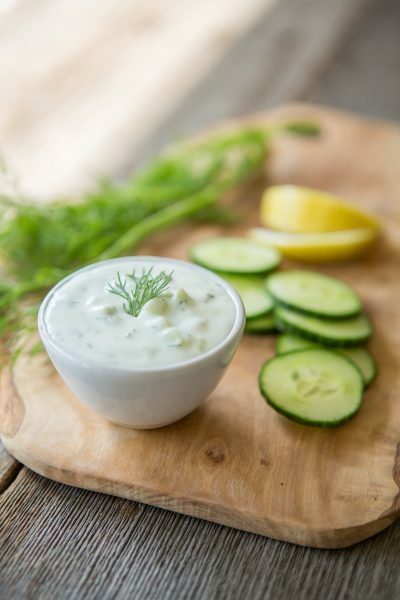 They are sure to impress your guests at your next gathering! Preheat your oven to 425F. 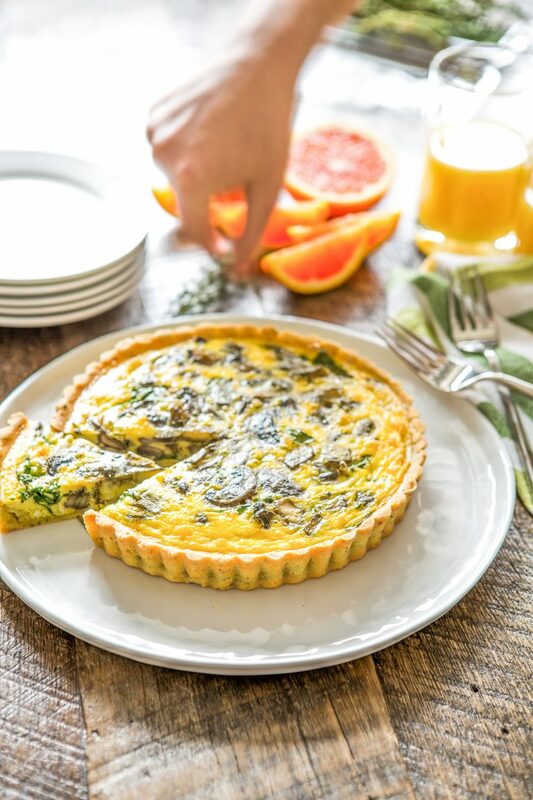 Place a wire rack over a large, rimmed baking sheet. Place the chicken wings on the sheet, with the thicker side of skin up. 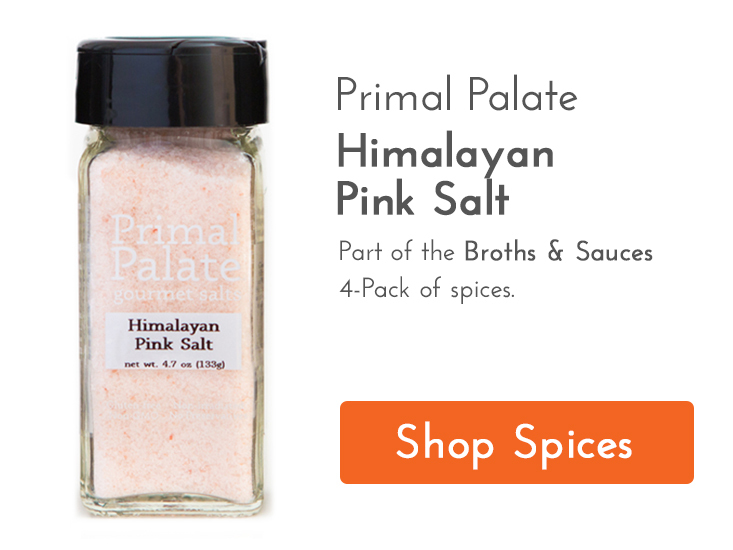 Sprinkle with a little pink Himalayan salt and black pepper. 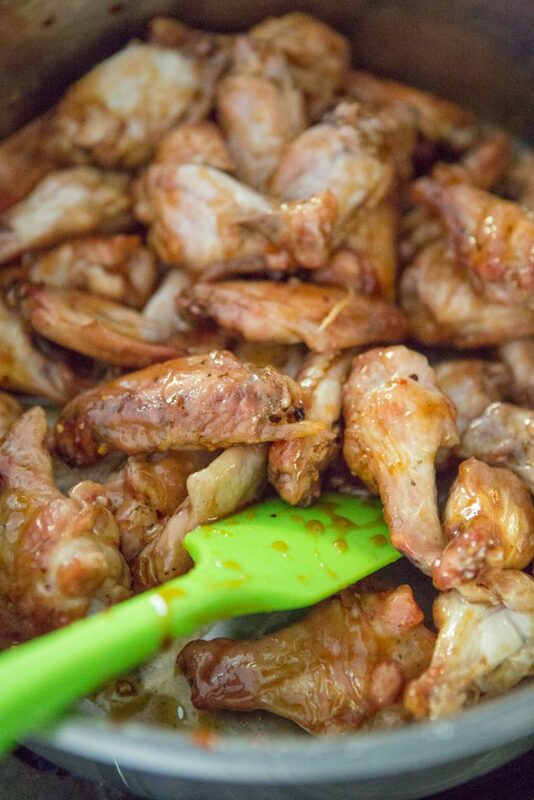 Bake the chicken wings for 40-45 minutes, until the skin is golden and crispy. 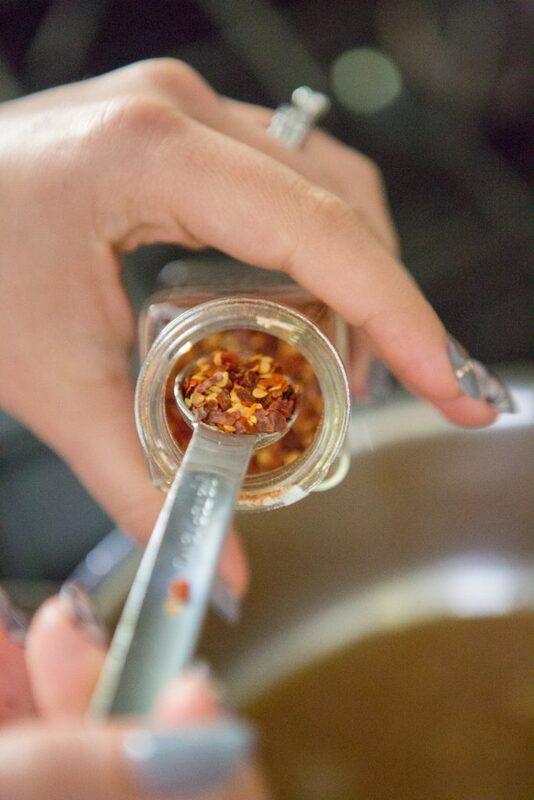 When the wings have about 20 minutes left, start bringing together the sauce. We like using the largest skillet we have, with high walls. 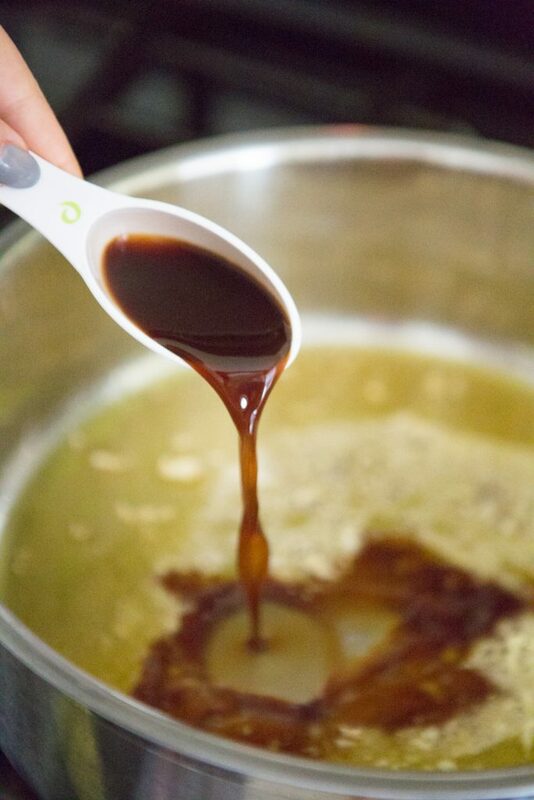 Once the sauce comes together, you can toss the wings with the sauce in this pan, which is an added bonus. 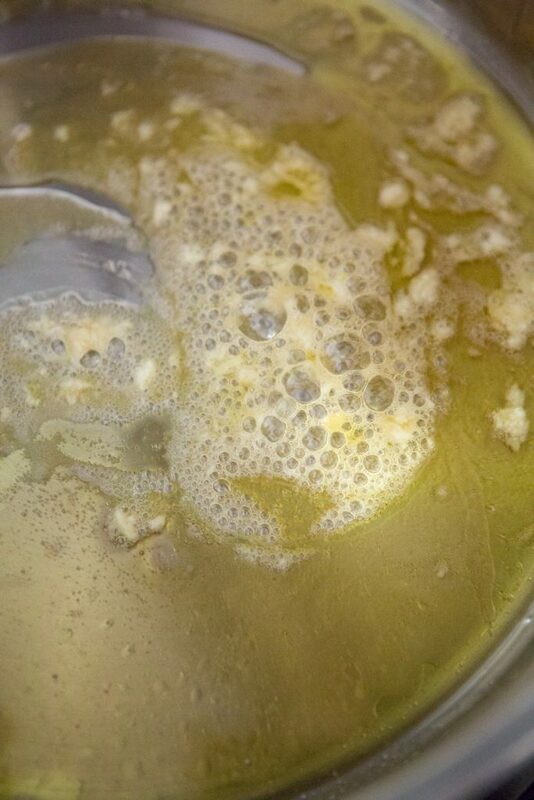 Start over medium heat, combining the ghee and honey. Stir together. 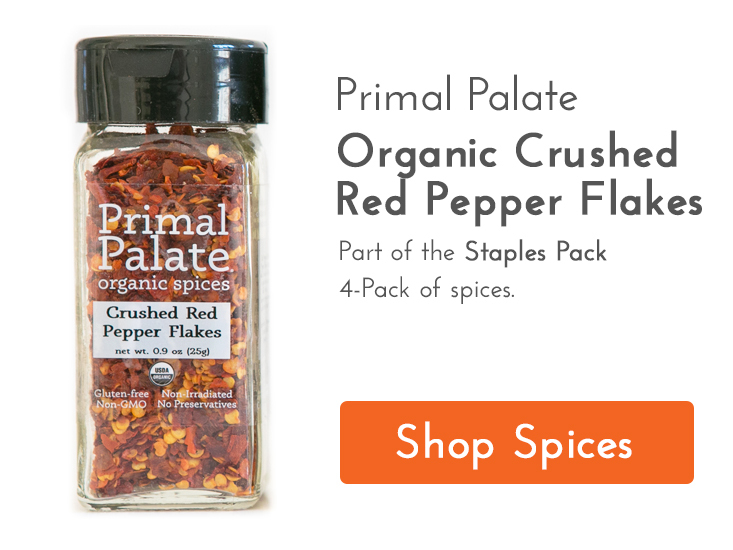 Add the coconut aminos, ginger, red pepper flakes, pinch of salt, and pressed clove of garlic. Stir everything together, and simmer over a medium low flame. Keep stirring to prevent parts of the sauce from burning. 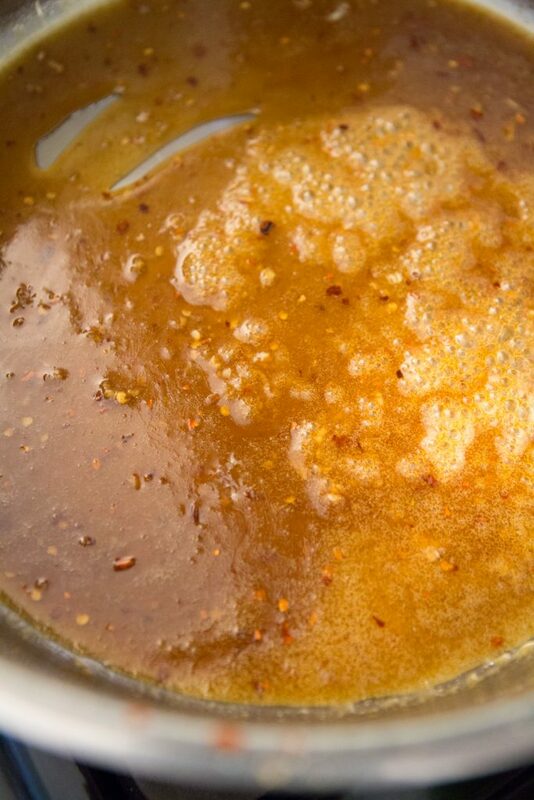 When the sauce has reduced roughly by 1/2, and becomes thicker, you can turn the heat to low. Stir occasionally until the wings are finished. 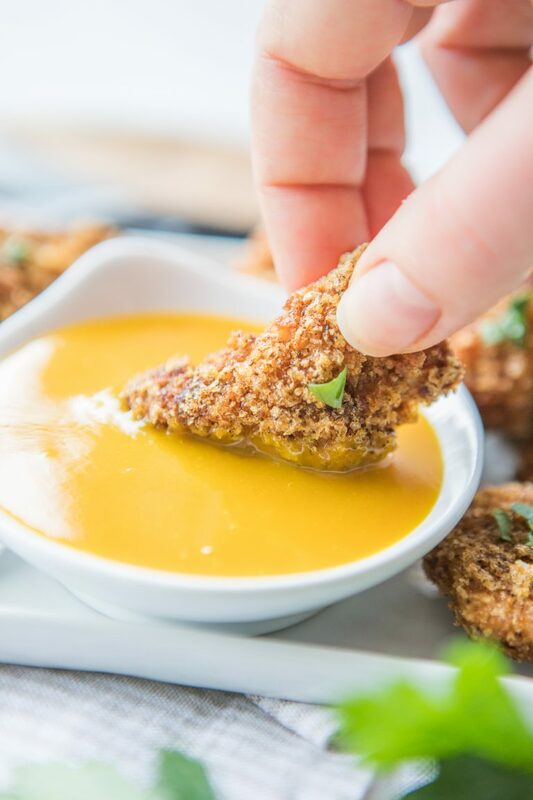 Toss the wings with the sauce until evenly coated. 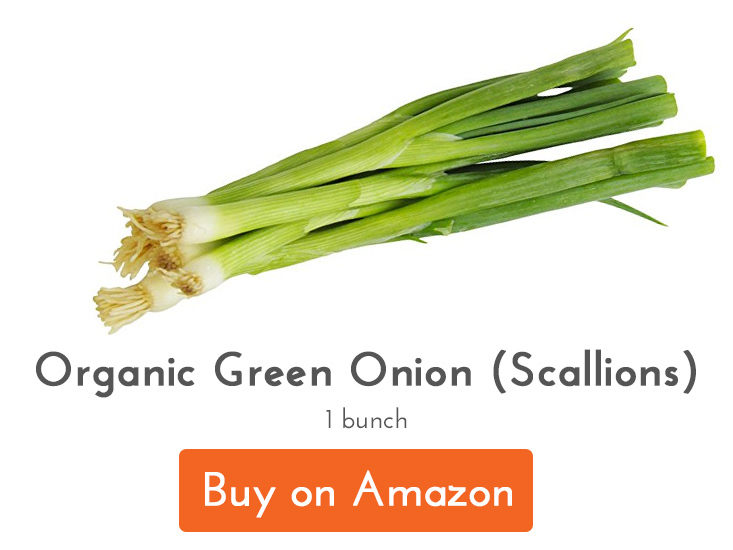 Sprinkle with sesame seeds and top with sliced green onion. Serve immediately!